State Board/Commission/Council: Minnesota Railroad and Warehouse Commission (State Grain Inspection); 19?? to 19?? State Agency: Minnesota State Department of Agriculture, Marketing Division (Duluth, Chief of Foods Section, Office of Price Stabilization, Produce Inspector); 193? to 19?? 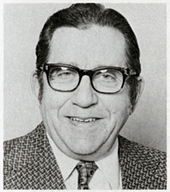 He was the longest serving member of the Minnesota House of Representatives for many years at 42 years, 7 months plus. His record was surpassed by Rep. Lyndon Carlson and Rep. Phyllis Kahn in 2015. He was born and raised on a farm near Fergus Falls, Minnesota. He ran unsuccessfully as the Farmer-Labor party endorsed candidate for the Minnesota House of Representatives in the 1934 election. 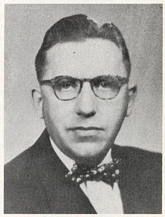 He ran unsuccessfully for the Minnesota House of Representatives in the 1952 election. 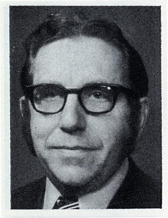 He ran unsuccessfully for the Minnesota Senate in the 1964 special election. The Willard Munger bicycle trail in Minnesota was named after him. He died from liver cancer at the hospice unit in St. Mary's Hospital in Duluth, Minnesota. His funeral was held at Our Savior's Evangelical Lutheran Church in West Duluth, Minnesota. He was buried in Oneota Cemetery in West Duluth, Minnesota. Session Notes: He died while in office on July 11, 1999. Munger, Mark. Mr. Environment: The Willard Munger Story. Minnesota: Cloquet River Press, 2009. Martin, Grant. "House Faces Future Without Legislative Legend." Session Weekly, St. Paul: Minnesota House of Representatives Information Office, December 1999, p. 19. Oakes, Larry and Terry Fiedler. 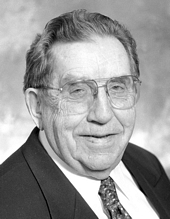 "State Legislator Willard Munger, Environmental Activist, Dies (Obituary)." Star Tribune, July 12, 1999, p. A1, A6. Sweeny, Patrick and Jim Caple. "Willard Muinger, 1911-1999. 'The Dean': an Eternal Legacy (Obituary)." St. Paul Pioneer Press, July 12, 1999, p. 1A, 6A. Lambert, LeClair Grier. "Reflections." Session Weekly, St. Paul: Minnesota House of Representatives Information Office, April 2, 1999, p. 2. Martin, Grant. "Pioneer in Environmental Legislation Turns 87 Years Old." Session Weekly, St. Paul: Minnesota House of Representatives Information Office, January 23, 1998, p. 34. "Friends, Colleagues Honor Munger." Session Weekly, St. Paul: Minnesota House of Representatives Information Office, January 19, 1996, p. 5. "Munger Goes for Record, Runs for One More Term." St. Paul Pioneer Press, June 6, 1989. - He was incorrect about this becoming the record. Willard Munger Papers, 1959-1999 (bulk 1980s-1990s) - Available in the Minnesota Historical Society's Collections.